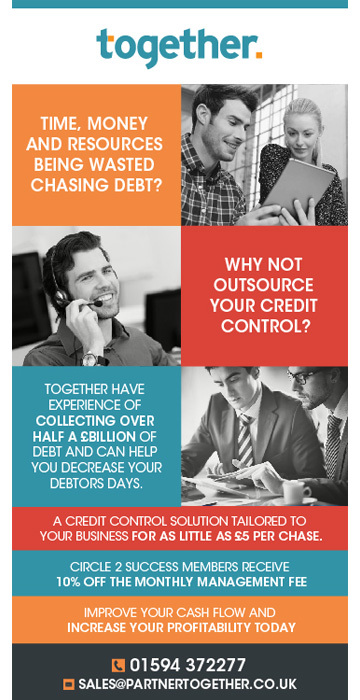 Partner Together are an outsourced Credit Control and Debt Collection service provider. Our credit team has collected hundreds of millions of pounds over 15 years through our sister company Simplicity, which means our customers benefit from the experience and scale of an established credit control function. We take away the stress and fixed costs of managing your debt collections in house, improving cash flow and reducing debtor days through a refreshingly different solution. Our unique charging model means you only pay for what you use when you use it, allowing you to budget with confidence on your credit management costs. There’s no need to worry about taking everything on at once; our simple and cost effective pricing model means that we have a solution that suits your company’s needs, allowing you time to focus on business development safe in the knowledge we have your credit management under control.